Excellent capture in B&W, light and dark. Fav. I love these old piers! Great this one has been restored! Great shot and great b&w! Would live to sit in that cafe. 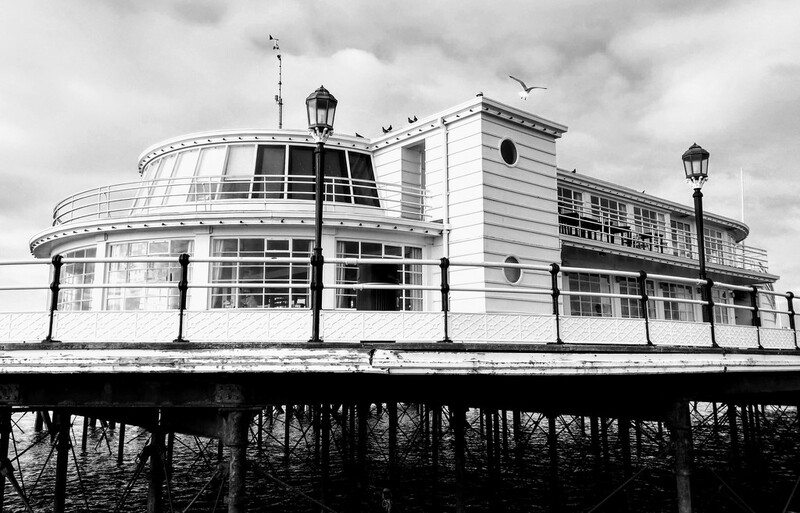 Love your angle of the pier! Great photo, so sharp and lots of detail under the pier too where it might have been darker. Wonderful layers - the grungy dark pylons and water with that clean white structure above. I really like the little pigeons and that lone seagull too. And the seagull looks like he/she has just engaged the afterburner:).